The final of the Allianz U. 13 Football League was played on Thursday October 25th. at Walsh Park. Conditions were excellent for football and we served up an excellent performance to retain our Eastern title. We had the perfect start with Aidan Gannon pointing and Martin Wright scoring a goal inside the first three minutes. Ballygunner replied with a point. In the meantime Ballygunner piled on the pressure but our defense held firm. Further points from Lee O’Connor and Martin Wright left the score at the interval St. Declan’s 1 -3 Ballygunner 0-1. The second half began brightly for us with Jack Power, Aidan Gannon and Lee O’Connor adding points. Once again our defense had to withstand severe pressure but Panis Mungenga, Adam Bowe, Dylan and Nathan Finn all defended bravely. Points from Aidan Gannon and Lee O’Connor completed the scoring and we ran out convincing winners on a score line that read St. Declan’s 1-8 Ballygunner 0-1. Team captain, Dylan Finn, accepted the trophy from Cian Power, East Waterford Primary Schools Board. Panel: Josh Kelly, Nathan Finn, Adam O’Brien, Adam Bowe, Eamonn Brosnan, Dylan Finn Captain, Panis Mungenga, Aidan Gannon, Lee O’Connor, Martin Wright, Liam Coad, Cormac Power, Harry White, Tadhg Ryan, Jack Power, Luke Fanning, Barry Mullally, Adam Dalton, Josh Ryan, Darragh Power, Harry Lawton, Niall O’Keeffe. The 2010–2011 season has been another busy and successful one for our school. We are fortunate in that we receive tremendous support and encouragement from school principal, Mr. Kevin Doran, all staff members and De La Salle GAA Club. Activity began in early September when we organised the third and fourth class Hurling League. This was a great suc- cess with over forty players participating. 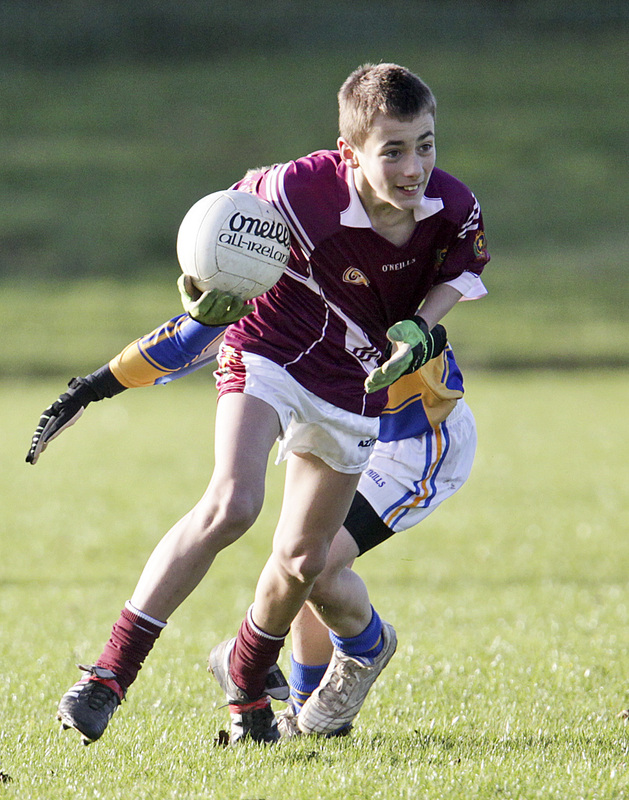 Lee O’Connor’s team emerged as victors over Aidan Gannon’s team in the final which was played on October 14th. At the same time as this the Cumannn na mBunscol Football Leagues commenced. Both our U-11 and U-13 teams qualified for the semi finals of these competitions and we lost out in both semi finals by small margins. There was one football competition still to play: the mini-7s. We qualified for the Eastern Final following a good display in the first round blitz. 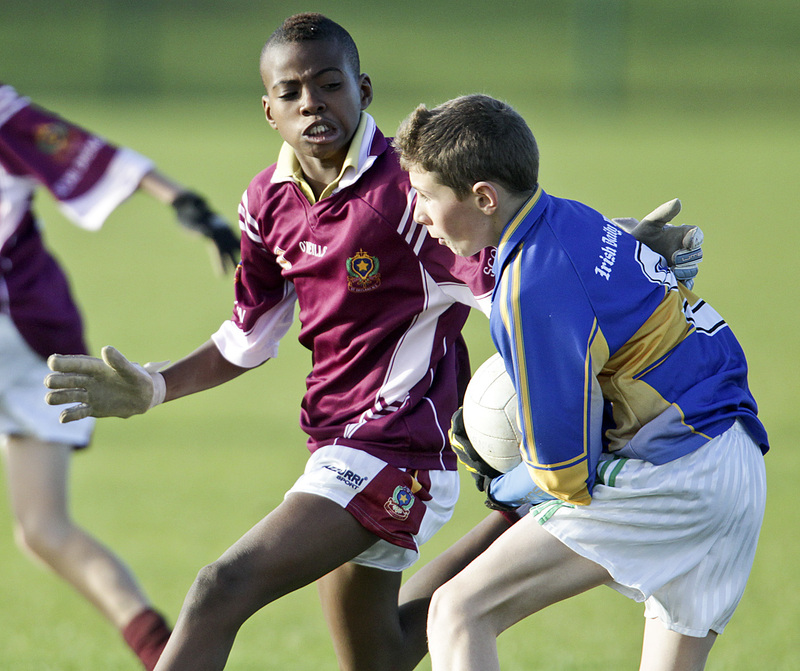 The final took place at Ballygunner GAA Grounds on November 16th 2010. In a high scoring game we defeated our great rivals St. Stephen’s 5-3 to 4-4 in the first game. Next we faced the holders of this competition Ho- lycross, Tramore. This proved to be a very close game with the lead changing a number of times during the game and we managed to hang on for a two point victory, St. Declan’s 3-7 Holycross 4-2. In the last game, we recorded a good win over Rathgormack. Team captain Christopher Kong accepted the trophy on behalf of a very determined St. Declan’s team. The County Final of this competition was played in Bushy Park, Dungarvan on April 12th 2011. 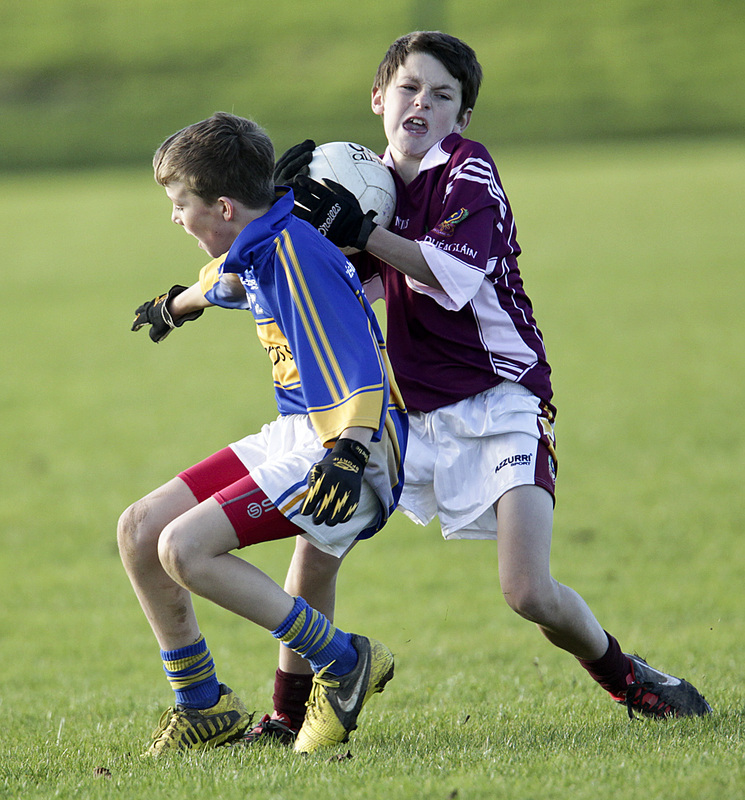 In this game we faced a very strong Tallow outfit and they were deserving winners on the day, St. Declan’s 3-4 Tallow 2-9. Following this county final, Christopher Kong has been selected to play in Croke Park on All-Ireland Football semi-final day, August 21st. In the mini-7s exhibition game. Our indoor hurling team were the first team to see competitive action in the New Year. We came through the first round blitz after securing three good victories. 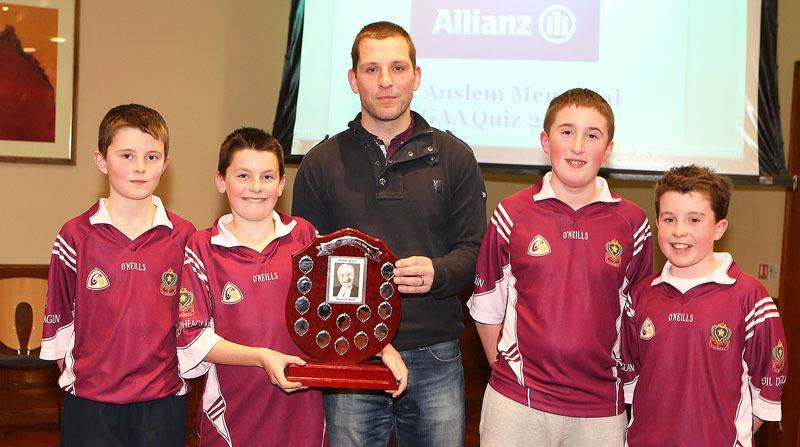 In the Eastern Final we faced Mount Sion, Newtown, Ballygunner and St. Stephen’s. We recorded four good victories and thus completed a three in a row of Eastern titles. Team captain Aidan Gannon was presented with the trophy following a great performance. In the County Final Scoil Mhuire, Abbeyside were our opponents. The teams were level at the interval five goals each. A strong finish saw Ab- beyside emerge victorious on a scoreline of 11 goals to eight. Our fifth and sixth class hurling league commenced in early February and following some very good hurling games, Tom Crotty’s team were victorious over Conor McCann’s teamfol- lowing a replay on February 21st. 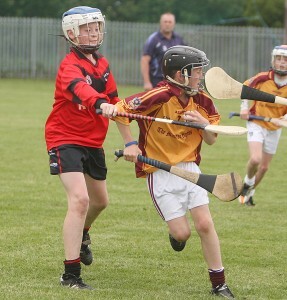 Our U-13 and mini-7s hurling teams failed to qualify for the knockout stages of their com- petitions. 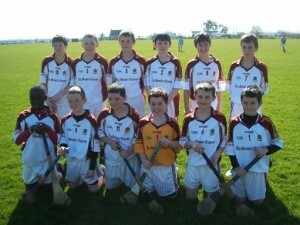 However our U-11 hurling team recorded victories over St. Paul’s, Ballygunner and Holycross to qualify for the final. The final took place in Walsh Park on May 31st. 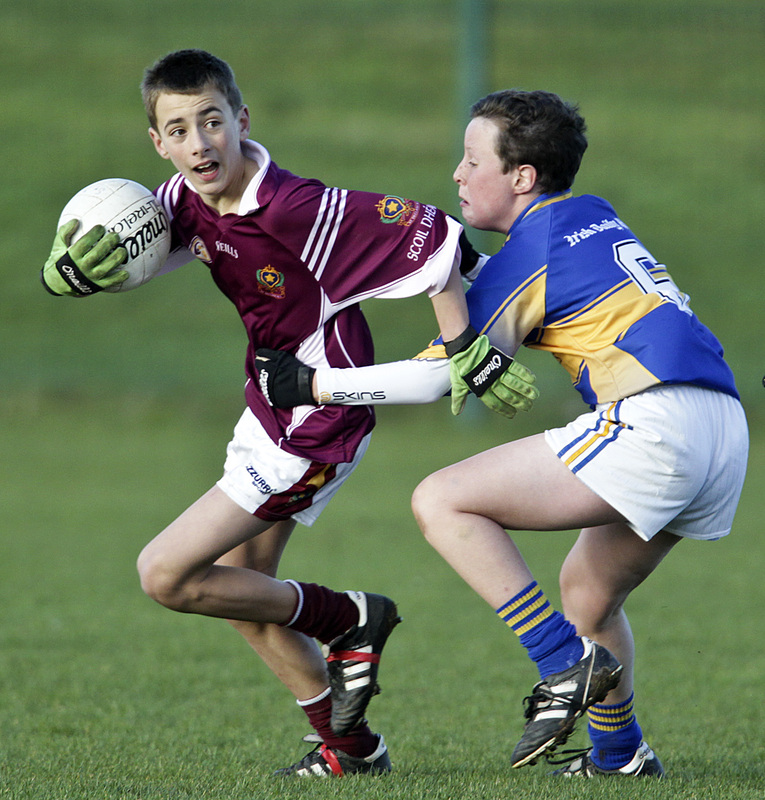 In this game Mount Sion were our opponents. This was a great game of hurling and a strong finish saw us retain the U. 11 title on a scoreline that read St. Declan’s 5-3 Mount Sion 2-1. 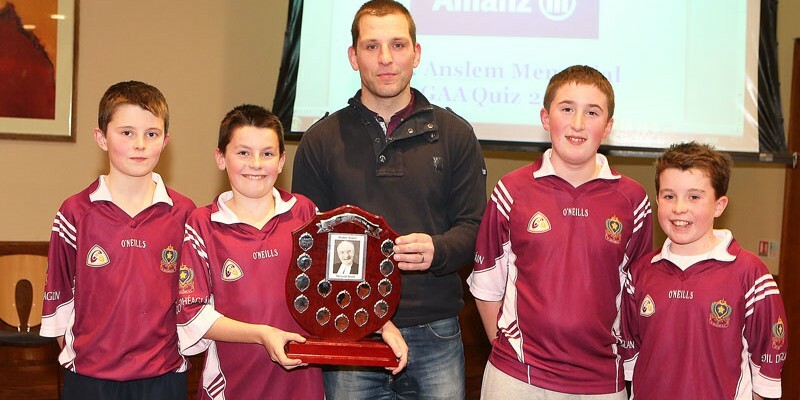 Team captain Aaron O’Connor accepted the trophy from Mr. Tom Fitzgerald, Cathaoirleach, Cumann na mBunscol. Finally, we must congratulate those players who are keeping up a great school tradition and were selected on the primary game this year. 2. Tadhg Brennan, who played football in Páirc Uí Caoimh on the day of the Munster Senior Football Championship, Waterford V Cork. 3. Cormac McCann, who played hurling in Semple Stadium, Thurles on the day of the Munster Senior Hurling Championship, Waterford v Limerick, and Cormac scored two goals on the day. 4. Christopher Kong, who will play football in Croke Park on August 21st, on the day of the All Ireland Football semi final.